Hot fashion designer Jason Wu got national headlines when First Lady Michelle Obama wore one of his dresses to the Inaugural balls last year. Now, he’s designing electronics, and HSN will be featuring his cameras in a show Friday. We guess it was only a matter of time before fashion designers would be asked to put their touch on one of the only categories that is selling these days: Consumer electronics. Here’s General Imaging’s hype on Wu’s work for it. 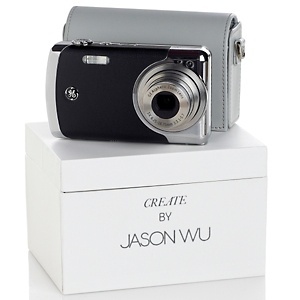 The press release says the cameras will be available in April for $179.99. But HSN is already selling one model online for $200. Just last week Wu appeared with the First Lady at the Smithsonian National Museum, meeting her for the first time, when the dress he did for the Inauguration was installed in the American First Ladies Collection. 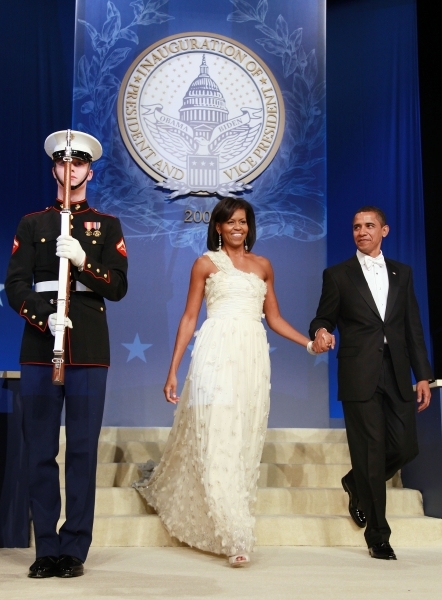 Michelle Obama put Wu, a little-known 26-year-old designer, on the map when she wore a white, one-shouldered gown he designed for her to the Inaugural festivities The gown looked somewhat like a wedding dress, and frankly, we didn’t like it. We didn’t think it flattered the First Lady’s fabulous figure. It made her look chunky in the tummy area. You are currently browsing the archives for the Jason Wu category.